CTAM Europe’s Board of Directors provides vast leadership & industry experience to the organisation. Without their ongoing support and strategic guidance CTAM Europe would not be where it is today. 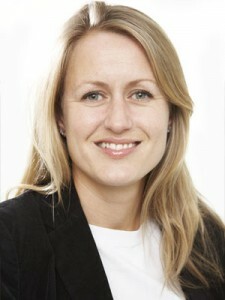 Louise joined AMC Networks International UK’s (formerly Chello Zone) affiliate sales department in 2003 and is currently responsible for overseeing and managing channel sales and channel development for a large portfolio of AMCNI channel brands across Middle East, Africa, Poland, Israel and Turkey. 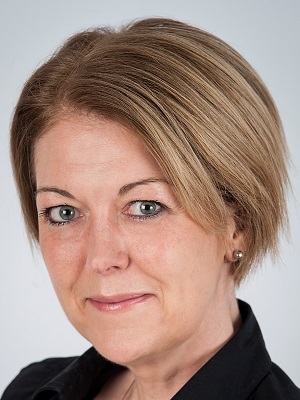 Prior to AMCNI, Louise spent seven years at Travel Channel as Head of Affiliate Sales and Marketing, joining the company at its launch in 1994. She also enjoyed a marketing career within The Economist’s Intelligence Unit. Louise graduated from the University of London with a degree in Economics and Politics, and also achieved a CIM diploma in Marketing. Lukas Kernell has been working with Liberty Global since 2003. As Vice President of Content, Lukas is responsible for maintaining LG’s relationships with its content partners. During his tenure with LG, Lukas has also fulfilled various roles at Chello Media, LG’s former content and broadcast services division. 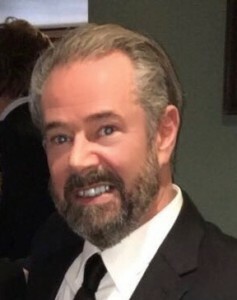 Prior to joining LG he has been employed by Stokvis-Niehe Producties, a subsidiary of Endemol, overseeing its initiatives in the new media space. At RTL, the largest commercial broadcaster in The Netherlands, Lukas was responsible for Business Development at iMedia, the “new media” unit of RTL. As General Counsel and VP Business Development at @Home Benelux, Lukas was instrumental in establishing and operating the joint venture between several Dutch cable operators, Intel and At Home Network. With over 20 years’ experience in the television, internet and cable industry in various roles, Lukas continues to be fascinated by the ever developing worlds of media and technology. Lukas holds a law degree from the University of Maastricht and lives in Amsterdam with his wife Lynda and their son, Olivier. Kakhaber Abashidze (Kakha), Vice president of Media Distribution EMEA, joined TWDC in December 2008. 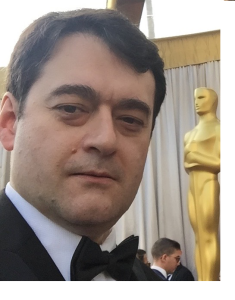 His responsibility covers Disney branded multiplex distribution across Europe Middle East and Africa. This includes all Disney branded channels, Disney Channel, Disney Junior, Disney XD and non-linear services across MVPDs and emerging linear platforms. In addition to his channel distribution remit in EMEA Kakhaber heads up Disney Media Distribution activities in Turkey, Israel, Greece & Cyprus and Middle East, with responsibility for studio, network and channel multiplex distribution. 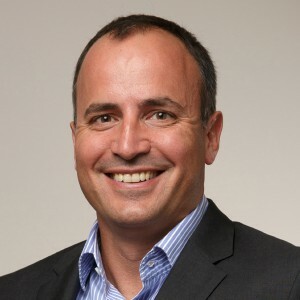 He reports to Mark Endemano, SVP/GM Disney Media Distribution EMEA and works closely with various stakeholders, including Disney channel EMEA management, and country managers across EMEA. Over the past years Kakhaber and DMD EMEA team have worked on and executed the roll out of Disney branded channels in EMEA –following the acquisition of Jetix Europe by TWDC, as well as negotiating key deal renewals across the region, including Sky Europe, Altice and Liberty Global owned and operated MPVDs. More recently, this involved paving way to Disney Life D2C launch in the United Kingdom. Prior to this role, Kakhaber served as Regional Manager for Fox International Channels, with full P&L responsibilities in the CIS and Baltics, launching the portfolio of FIC branded channels, including Fox Life, Fox Crime and extending Nat Geo in the CIS and Baltic states. Kakhaber also worked at Fox Kids Europe starting as a traffic co-ordinator and progressing to the position of General Manager of Emerging Markets and Central and Eastern Europe, growing the green field market to multiple feeds with affiliates across 40 markets. During Kakhaber’s tenure Fox Kids pioneered advertising sales within the newly emerged pay TV segment in the regions and oversaw launches and operational activities of Fox Kids/Jetix online assets in CEEEM. Prior to his career in media Kakhaber worked as Telecoms Analyst for international consulting firm Frost and Sullivan, providing market research and growth strategy analysis in the mobile and fixed line telecommunications segments. Kakhaber studied International Law and Relations at Tbilisi State University, Georgia, majoring in International Treaties and Maritime Law and graduating in 1994, and is expecting his MSc from University of London, Birkbeck in International Management in 2017. Kakhaber is married and has one son Alexander. 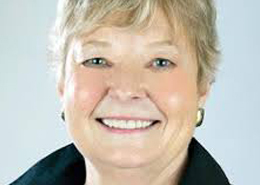 Beales served as President and CEO of CTAM from 1992 – 2012. In addition, she was President of the MSO Marketing Co-op and Secretary/Treasurer of the CTAM Educational Foundation. CTAM provides marketing knowledge and industry scale to help member companies manage the future and drive business results today. The organization is an indispensable partner to members from more than 90 cable companies, content providers and industry suppliers who receive a full slate of business meetings, consumer research and executive education. CTAM conducts co-operative marketing programs including the Cable Mover Hotline® and Movies On Demand® campaigns. “CTAM SmartBrief” is a leading daily publication for more than 20,000 industry executives. The annual Cable Executive Management at the Harvard Business School is a world class management development experience for high potential cable and media executives in an elite business school environment. Beales was inducted into the Cable Hall of Fame. In 2008, she received the T. Howard Foundation’s Diversity in Media Champion Awards, as well as Promax/BDA’s Brand Builder honor. She was named a Wonder Woman in 2001 by Women in Cable & Telecommunications NY and Multichannel News. In 1996, Beales received the National Cable Television Association’s (NCTA) Distinguished Vanguard Award for Leadership and received the NCTA Vanguard Award for Marketing in 1995. Beales is a member of George Washington University’s National Council of the Columbian College and chairs the Advisory Board for GWU’s School of Media and Public Affairs. She is a communications graduate of George Washington University in Washington, D.C.
Paul Farrell is an experienced senior executive with a proven track record in developing strategies that deliver growth and innovation across a number of world class brands and different business sectors. Paul has over 25 years’ experience creating high performance teams that are focussed on delivering business results driven by a rigid focus on the customer. He has worked in Ireland, the US, UK and Europe for a range of businesses across Media, Telecoms and Financial Services. Paul returned to Ireland and worked with MCI WorldCom and led the build out of their network in Dublin and the growth of their customer base across SME and MLE. He moved to a European role based in the UK managing marketing and brand for B2B across 13 countries. He was Marketing Director for O2 Ireland for 5 years and was instrumental in driving the growth and success of the brand based around a clear focus on the customer and delivering fresh and innovative customer propositions. Paul was responsible for Pricing, Brand and Communications and base management across business and consumer divisions. O2 enjoyed 5 years of consistent growth both top line and with best in class margin performance. After 02 he joined the Irish Times as Commercial Director to lead the development and launch of their digital strategy and run the P&L for the business. He led the creation of an integrated commercial team to deliver revenue growth across digital, data and traditional media. He grew the business to be the No.1 digital media brand and increased profitability significantly. Paul was recruited as MD to establish IPG Mediabrands in Ireland and to lead the turnaround of its two media agency brands Initiative and Universal McCann who were both loss making and at risk. Within two years he had achieved this and both business were growing again and returned to profit. Prior to joining Virgin Media, Paul worked with Davy Irelands largest Wealth management business as Director of Brand and Strategy. He was recruited to lead the transformation of the business from its stockbroking roots to a holistic wealth management provider. He lead the digitisation of the business and the introduction of customer focussed strategy driven by customer NPS and linked directly to performance and remuneration models for all customer facing staff. Paul’s role as VP Commercial for Virgin Media is to lead and inspire a winning commercial team to constantly innovate and deliver market leading results. He is responsible for both consumer and B2B divisions in Ireland. Paul has led the delivery of a restructure of the commercial team, and the subsequent growth in our customer base across mobile, cable and B2B. Paul holds an MBA from St. Ambrose University in the US and was made a fellow of the Marketing Institute in 2007. He was a board member of the International Newsmedia Marketing Association (INMA). As Senior Vice President, International Distribution – Digital and New Platforms, Frazier oversees worldwide distribution (ex USA) of AMC Networks International’s linear channels with digital media platforms and virtual MVPD’s. He reports to Ed Palluth, Executive Vice President, Global Distribution, AMCNI. Frazier previously held the title of SVP Distribution and Business Development for UK and Western Europe within AMCNI and has 25 years of experience in securing distribution for various media ventures. His initial collaboration with the AMC group dates back to 2009 when he was instrumental in securing and building the first distribution agreements for Sundance TV in territories throughout the EMEA region. Frazier has also sourced acquisitions for the group including Kinowelt TV in Germany. Prior to this, Frazier was instrumental in launching multiple thematic pay TV channels and brands and building multi-million pound revenue streams. He led ESPN’s EMEA Affiliate Sales and Distribution department for ESPN America and ESPN Classic where he established a paying subscriber base of more than 55 million homes for the two services. As Vice President of Business Development at Creative Networks International, he was pivotal in launching Cult Network Italia. At Sitcom S.p.A he secured distribution enabling the international launches of three Pay TV channels: Nuvolari, Alice and Leonardo. 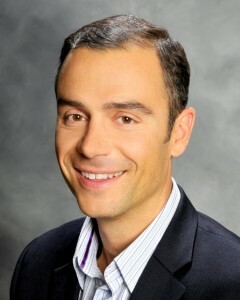 Pablo Guaglianone is Vice President of Sales for CommScope. He is responsible for driving sales of CommScope solutions to Service Providers that make communication faster, easier and more efficient for today’s always-on world. This includes solutions for ultrabroadband data, IP video delivery across multiscreen environments, Wireless and Wireline Connectivity Solutions, and the complete home ecosystem. He joined CommScope in 2019, with the acquisition of ARRIS. 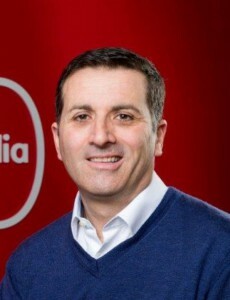 Starting in the mobile networks division of Motorola in 1995 in South America, he then moved to the UK in 2003 and later to Spain in 2007, where he currently lives. During his tenure in Motorola and ARRIS he held a number of positions including program management, business development, account management and sales. Prior to Motorola, he was a Consultant with Accenture in Argentina. 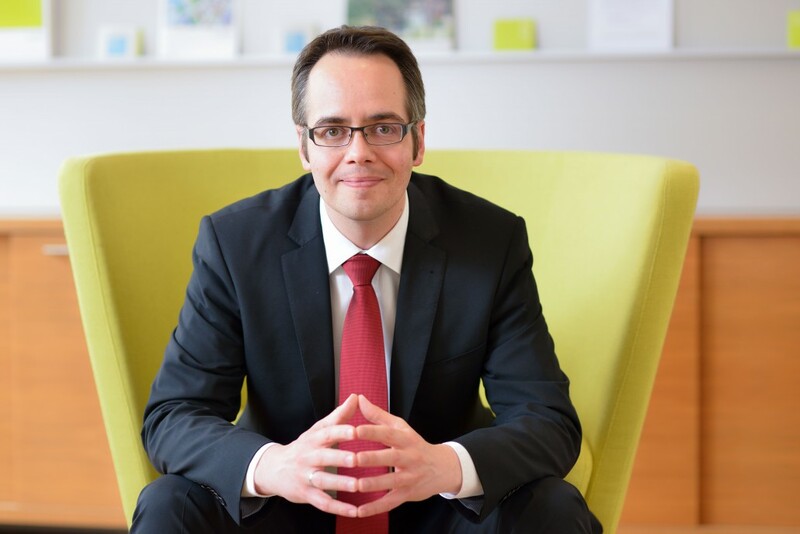 Matthias Hamel is a Partner and Managing Director at Solon Management Consulting. He has supported leading cable operators throughout Europe regarding strategic topics – with a focus on market, company positioning, infrastructures and business plans – and has advised investors and shareholders regarding numerous cable transactions. He is the author of Solon’s European Cable Survey, head of the company’s Technology and Innovation practice and currently based in Munich. Matthias also supports the mobile and fixed line industries and worked with major European TV channel groups. Kasia has over 15 years’ experience in pay TV sales, business development and management across various European regions. Kasia has recently left her role at Scripps Networks where she headed up the distribution and business development of the Interactive portfolio across Europe, Africa and the Middle East to set up a Bespoke Consultancy firm; MK&K Consultants. 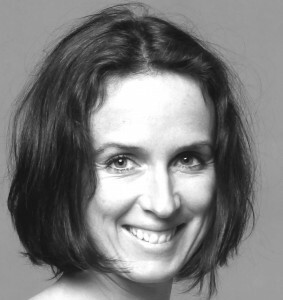 Kasia holds a Masters in English Studies from Warsaw University and an MBA from Middlesex Business School. Vicki Lins is an award-winning marketer with 30 years of experience in the media, technology and telecom sectors. Her expertise includes building and distinguishing brands, a strong track record of strategic market development and growth, and an in-depth understanding of the transformational impact of technology on media, advertising and consumer engagement. As president and CEO of CTAM, Vicki unities leaders in media, entertainment and technology to enrich consumers’ lives with exciting experiences, from what they watch to how they communicate, to the way they live and work. She oversees CTAM’s efforts to drive collaborative marketing and communications initiatives, so member companies can achieve greater success by working together, and ultimately better serve the millions of people they engage every day. Prior to CTAM, Vicki served executive vice president and chief marketing officer of United Way Worldwide, where she led global brand strategy, integrated marketing and strategic communications. Previously, she was executive vice president and chief marketing officer of Clear Channel Outdoor. 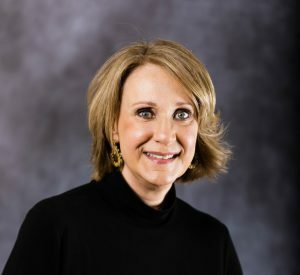 Vicki serves on the board of the CTAM Educational Foundation, responsible for the hallmark Cable Executive Management at Harvard Business School program, and on the board of the Brandcenter of Virginia Commonwealth University. Over the years, Vicki has been recognized by numerous organizations for her expert marketing and communications work, and honored by Multichannel News as an industry “Wonder Woman.” Most recently, Lins was featured on Cablefax Top 100 and Most Powerful Women lists. Mike has returned to CTAM Europe as a Board Member (December 2017), he was a Board member for several years in the past (2004 – 2010). Mike is a payTV marketing, promotions and PR specialist with comprehensive brand experience in the tv, digital and mobile industries. He is responsible for advising channels as they look to launch in new and emerging markets. His regional experience encompasses CEE, the Balkans, Africa and Middle East + Australia. For the last 20 years in television Mike has been working in the fields of multi-channel, OTT, IPTV, TV Everywhere and in the independent production sector. Mike has an unrivalled network of contacts with leading advertising, branding and promotions/publicity agencies, as well as with key executives at many of the principal distribution platforms across EMEA. ). He was International Sales & Marketing Director at 3Vision where he helped ITV launch their International Entertainment Channel, ITV Choice, across Southern Africa and now at GINX Esports TV he has managed launches in South Africa, Italy, Greece and Poland. 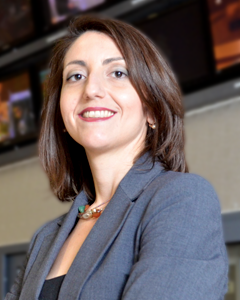 Mireille Muscat is currently Head of Marketing of Melita Ltd, fully converged quad-player, and is responsible for go-to-market of products and propositions, brand management and business intelligence management, with a current focus on shifting the team organisation towards greater customer centricity, advanced customer analytics and digital marketing management. In her role, Mireille has gained extensive experience in leading within a diversified converged telecommunications environment. She was instrumental in promoting Melita as an innovator in the field and propelling growth on all services, including Malta’s only high-speed, seamless outdoor WiFi service. Prior to her Head of Marketing role, as Marketing Manager, she executed the shift of Melita’s business focus on Pay TV to market leadership in high speed broadband, and towards the converged quad-player it is today. Before joining Melita, Mireille worked at GO plc where she gained knowledge in telecoms and the internet industry, and managed the success of two of the company’s then flagship products, namely Blackberry plans, and mobile internet plans. Mireille holds a Master of Science in Engineering from RWTH Aachen in Germany and a Postgraduate Diploma in Marketing from the Chartered Institute of Marketing in the UK. Michiel Sanson is VP International Development at Sand Cherry Associates, and leads the Customer Retention group. He has 20 years of experience in the media and communications industries. Since first joining Sand Cherry in 2001, Michiel has contributed to and led engagements in North America and Europe, focusing on market strategy, customer retention, and sales channel strategy & optimization. These include retention strategies and initiatives for leading cable operators and OTT strategy development for leading content providers. Prior to joining Sand Cherry, Michiel was Assistant Vice President, Marketing Research and Strategy and head of corporate strategy for Dex One Corporation. He was also Founder and VP Marketing at Alerta, a wireless start-up, and senior associate at Booz Allen & Hamilton in the media and telecommunications group in Amsterdam. Michiel received his BA from Dartmouth College, an MBA from the Wharton School, and an MA in International Studies from the Lauder Institute at the University of Pennsylvania. 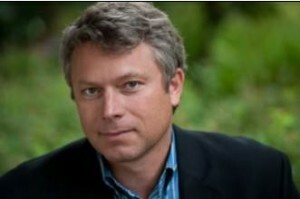 Michiel currently serves as President of the Dartmouth Association of the Rocky Mountains. He speaks English, Dutch and French. 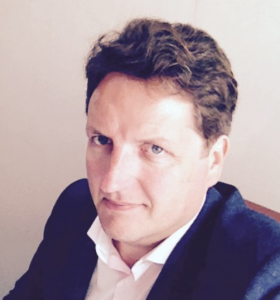 David Wagenborg, MD Business Services based in Schiphol-Rijk, has been with the company for 8 years, 1st with UPC in the Netherlands and for the last 3 years with Liberty Global. David is a creative and strategic thinking leader with a proven record on immediately identifying business drivers, creating and executing business strategies for growth. Broad work experience combined with hard work ethics and proven ability to lead high achieving teams. He has been a key driver behind Liberty’s double-digit growth in the business2business field over the last couple of years, with new investment in a quality business portfolio for IP Voice, Data, Cloud and enhanced business services. In his role as Managing Director Business Services for Liberty Global, David is driving the consistent growth drivers and replicating success & learnings across markets. Prior to joining the Liberty family David has been Head of New Product Development in BT Global Services in Amsterdam, to drive the incubation of new services in BT’s broad portfolio, and simplify the experience from customer perspective. Previously held several roles at BT, Telfort and BCG. 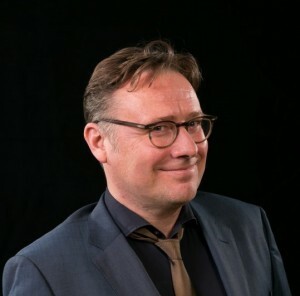 David holds a grade of Business Economics of the Amsterdam University (UvA), and Master of Business Administration (MBA), AMP, at Nyenrode Business University. David brings a positive B2B edge towards CTAM Europe, and its community and focus. Laima has worked at INIT since 2001. INIT is a Family-run Cable Operator, based in Lithuania and has 24 years’ experience in this sector. During this time the company managed to attract more than 100k Pay TV subscribers and more than 20k Internet subscribers, making them the 3rd largest pay TV operator in Lithuania. 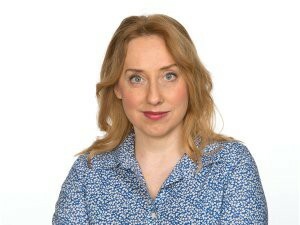 Laima is Vice President and Head of Marketing & Sales, she is also involved in LKTA (Lithuanian Cable Television Association) activities – and participates in most of the political meetings involving the Cable business. Laima holds a Master’s degree in Business Administration. Fruzsina joined CTAM Europe in June 2017 as Director, she resides in Budapest and holds a Master’s degree in Marketing and a Bachelor’s in Business administration. Fruzsina has over 15 years’ experience in project management and customer service, working for various advertising agencies – including Grey, TBWA and JWT. Prior to joining CTAM Europe, Fruzsina worked for several years at Kastner and Partners Advertising Agency as Senior Account Manager, where she covered Red Bull international co-ordination for the Adria Region and Hungary. Prior to her time at Kastner and Partners, she spent 4 years at Microsoft Hungary in Business Solutions and later as Marketing Operations Specialist on Marketing and Operations, working on different Windows related projects.